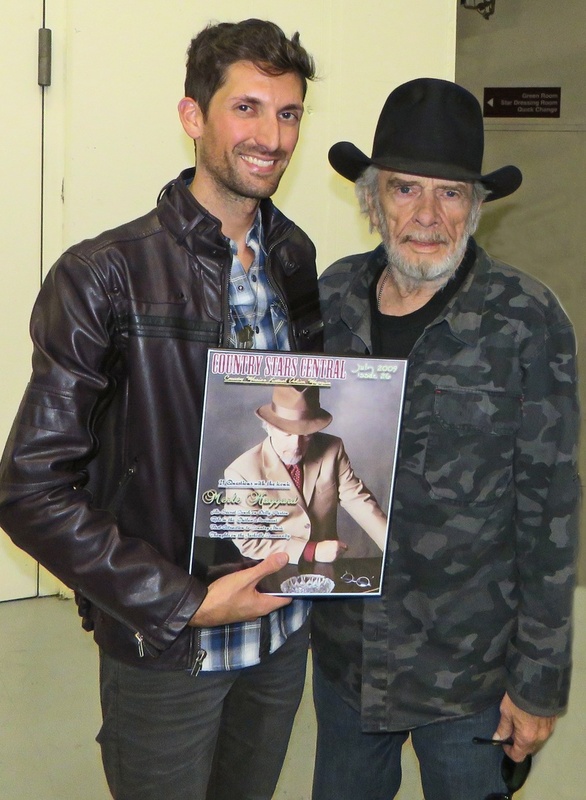 CHICAGO, IL, November 20th, 2015- It is with great pleasure that we recognize American music icon, singer/songwriter, member of the Country Music Hall of Fame and winner of numerous Academy of Country Music, Country Music Association and Grammy Awards, the one and only Merle Haggard. 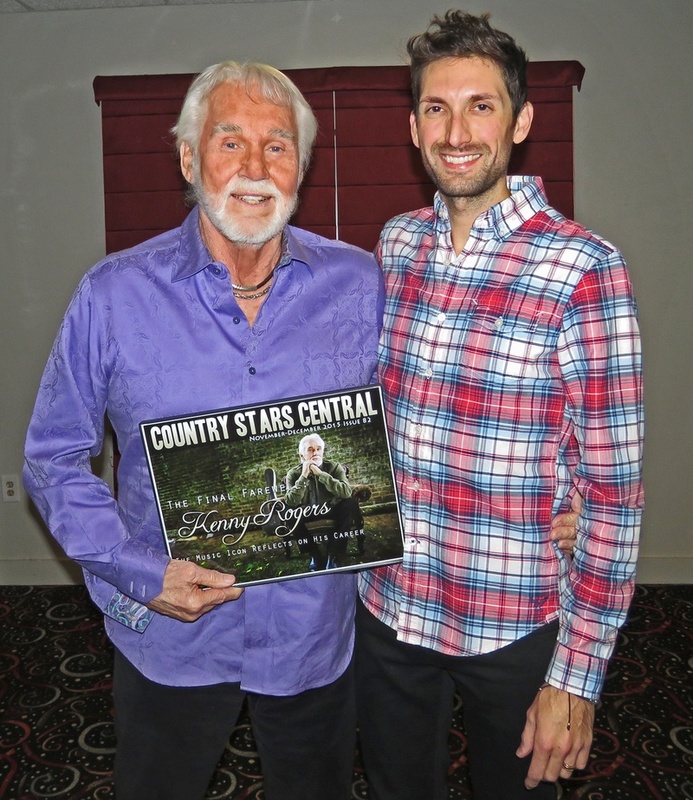 CSC presented the outlaw of country music with his official Country Stars Central cover backstage at a recent tour stop in Milwaukee at the beautiful Milwaukee Theater on Saturday October 24th, 2015. Haggard and longtime friend Willie Nelson were performing to a sold-out crowd in support of their latest critically-acclaimed record, “Django and Jimmie” which claimed the #1 spot on the Billboard Top Country Albums charts in 2015. Known for mega-hits such as “Mama Tried,” “Okie From Muskogee,” “The Fightin’ Side Of Me,” “Sing Me Back Home” and “Workin’ Man Blues” just to name a few, the unique style and sound of Merle Haggard has solidified him as one of music’s most treasured artists. We’d like to thank Mr. Haggard, his publicity director Tresa Redburn and touring staff for their time and generosity. Enjoy Part I of our interview with Warner Brothers Nashville singer/songwriter Ashley Monroe​ as she talks about her latest album "The Blade," her inclination to record authentic country music, friendship with country superstar Miranda Lambert​, a possible Pistol Annies​ reunion and more! CHICAGO, IL (September 18th, 2015) –Warner Brothers Nashville recording artist, singer-songwriter Ashley Monroe was recently presented with her official September-October 2015 cover story on Friday August 28th, 2015 at the Ravinia Festival in Highland Park, Illinois. Fresh on the heels of releasing her critically-acclaimed record “The Blade,” the starlet has been all over the country opening shows for country music megastars Little Big Town and Rascal Flatts this past summer. This fall, Ashley will embark on her very own headlining tour kicking off October 1st in Macon, GA, with a handful of dates booked through late November; many of which have already sold-out. 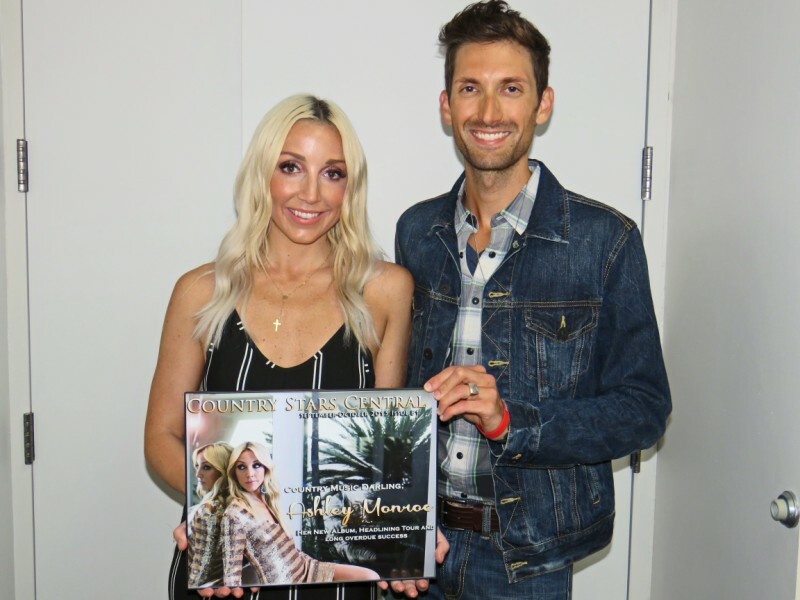 We’d like to thank Ashley Monroe and her team for their time and the opportunity to interview Ashley in person at the Ravinia concert! Stay tuned to Country Stars Central for Part I of the interview VERY soon! 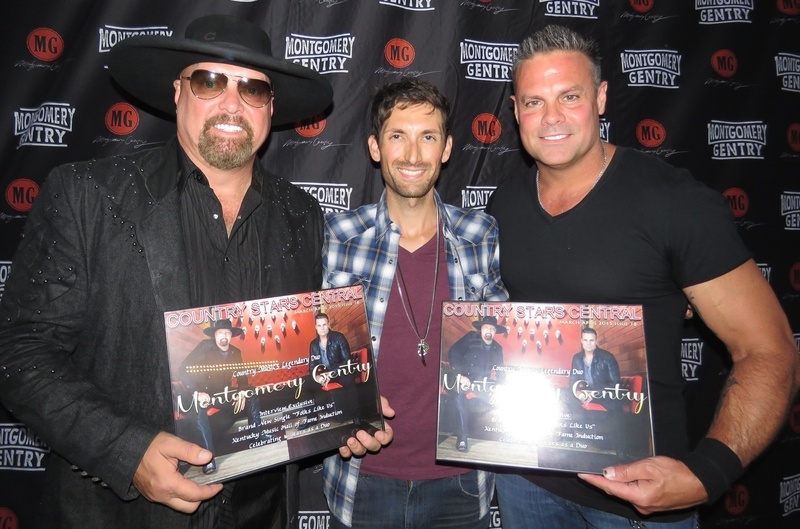 CHICAGO, IL (August 3, 2015) - CSC recently presented ACM and CMA Award winners, Grand Ole Opry and Kentucky Music Hall of Fame members, Montgomery Gentry with their March-April 2015 cover story backstage at the Rock County 4-H Fair in Janesville, Wisconsin on Thursday July 30th, 2015. Known for their love of God and country, the revered and patriotic duo has sold several million albums worldwide and continues to perform across the country to their dedicated fans. In addition to the presentation, Christian F. Scalise took the opportunity to thank Eddie and Troy for their past involvement with CCA (Children’s Craniofacial Association). With a genuine and accepting spirit, the duo gladly posed with the CCA poster helping raise awareness for CCA and sharing their vision of a world where all people are accepted for who they are, not how they look.